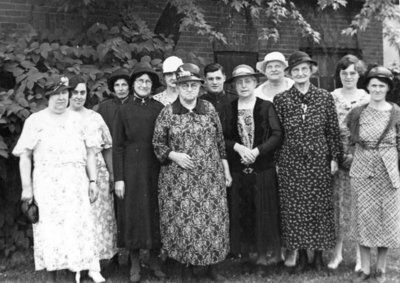 A black and white photograph of members of the Salvation Army. Members of the Salvation Army, 1933, Photographer Unknown. Whitby Archives 09-011-004.